?? ?As an avid naturalist from a very young age, I can recall finding this type of snail many times before. My family has always lived close to the railroad tracks – possibly why I’ve seen this snail at all. I have tried to identify them recently without much success. (???) There are two creeks which run down the side of the railroad tracks along Roosevelt Blvd in some areas. Perhaps this was how they got their start in the Murray Hill, Lakeshore and Ortega area of Jacksonville, Florida. I can recall seeing them for my entire life. Although, considering I would have been too young to remember the first time I saw one, a conservative estimate would be 20 – 25 years???. From this it is clear that this is not a recent introduction and the snails have had time to disperse. Two points here. First, they have been able to keep unnoticed for many years until Bill Frank hit a population at Duval Corp. Second, the rail tracks seem to have acted as a pathway for dispersal; the spread of their populations is thus facilitated by human activities. Would it be possible to compare that to their ‘natural’ dispersal ability? E.g. by investigating suitable habitat perpendicular to the railroad tracks. Derek also sent me two pictures, remarking ?? ?I saw one snail waiting in the same spot all day long. The following morning, another one arrived. 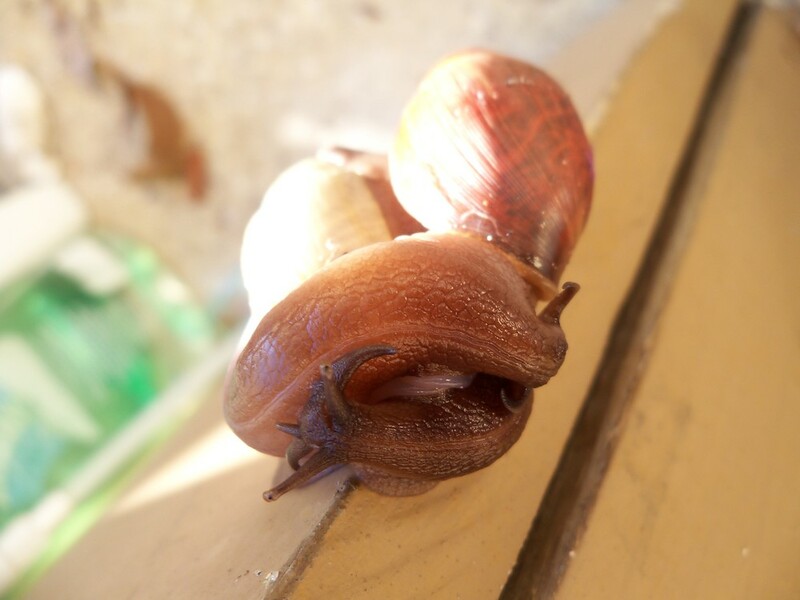 I took a few pictures of the snails doing their ‘slow dance’.??? Thanks Derek for sharing this info. This entry was posted in Uncategorized and tagged bulimulus, usa on December 6, 2012 by bramb.